The Standing Stone: Leighlinbridge, Tower House, Co. Carlow. 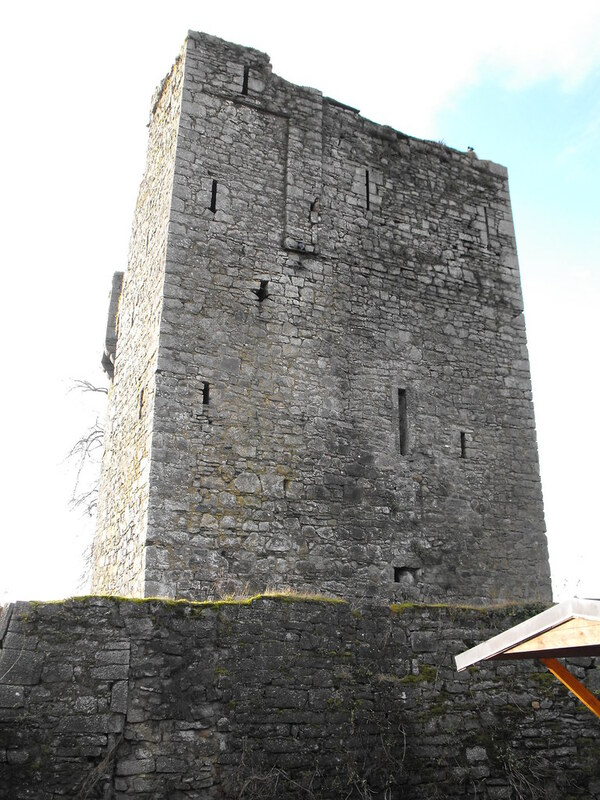 Leighlinbridge, Tower House, Co. Carlow. 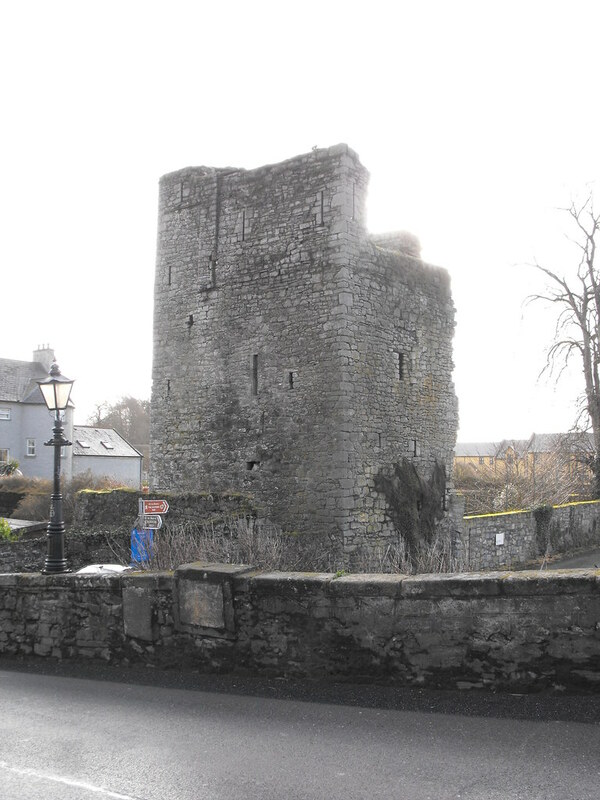 Location – In the centre of Leighlinbridge next to bridge. OS: S 690 654 (map 61). 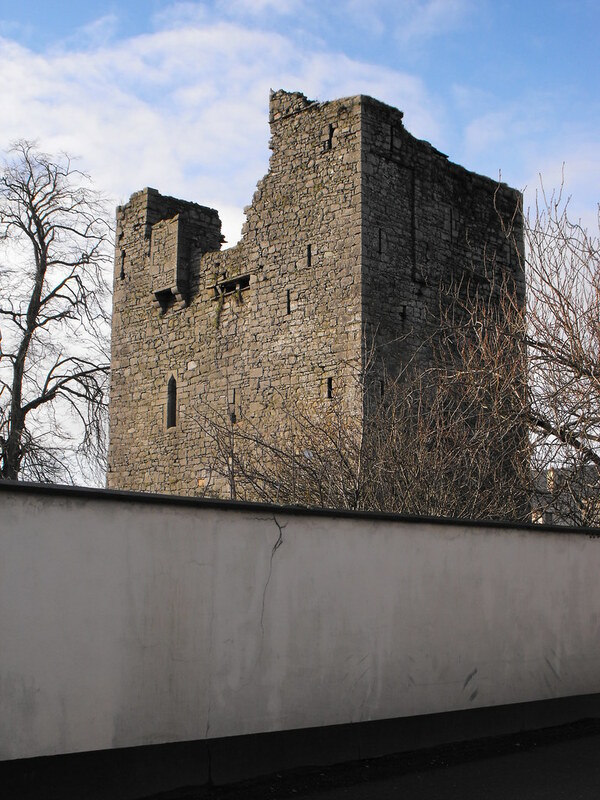 Description and History – Although the present remains are far from spectacular, this is an important site and is the site of the first known Norman fortification in Ireland. Undoubtedly it was originally a motte and bailey and was constructed to defend the bridge that crosses the River Barrow. 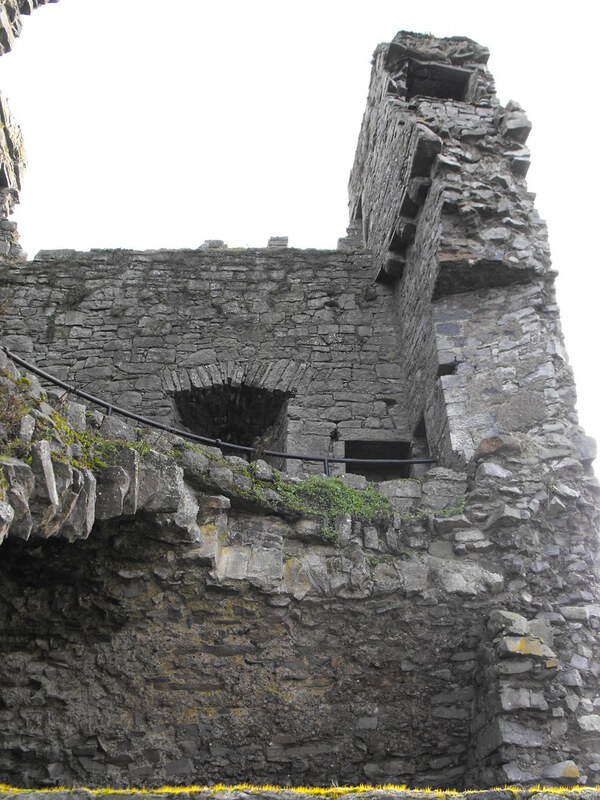 A stone castle, known as ‘Black Castle’ was constructed in 1320 but no longer remains. 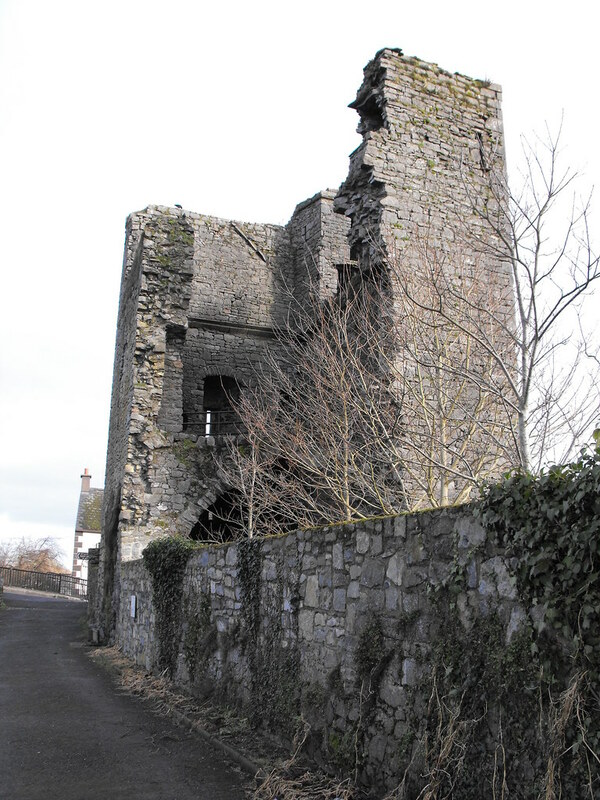 On the site of ‘Black Castle’ stands the remains of 16th century tower house which has partially collapsed. A barrel vault survives on the first floor and portions of the second floor survive. 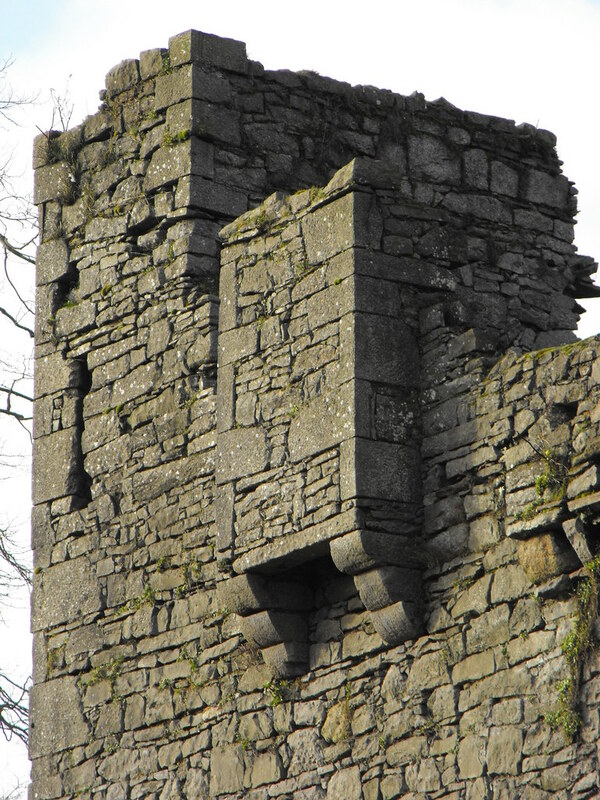 A machicolation protects the entrance. 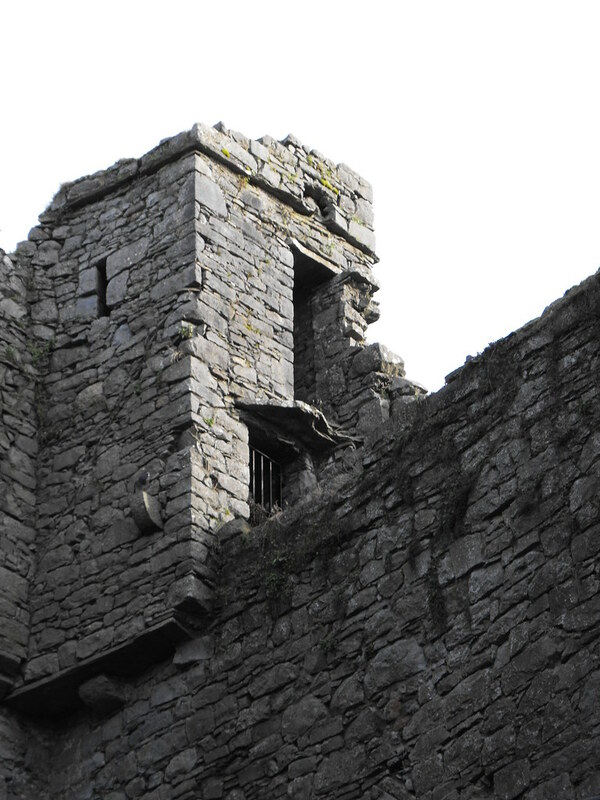 I was unable to get into the castle upon visiting as the Barrow had flooded barring the entrance. Difficulty – Easy to find as it is located in the centre of Leighlinbridge but parking is sparse. I would recommend parking at the nearby hotel on the R705 and walking from there. Obviously if the Barrow is flooded then you are constricted to the outer parts of the castle. A good example of a machicolation.